Our objective was to bridge the gap between the typical ten-minute ‘short back and sides’ type of Barbers and the more expensive unisex salon. So in 1993 work began on our new premises that needed a complete makeover to transform it into a working salon. Our aim was to create the look and feel of a Gentleman’s Club with a unique atmosphere. 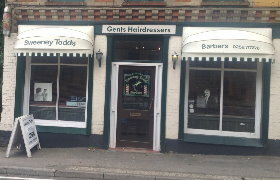 Managed by brother & sister team, John & Jane Gill, Sweeney Todds has now been successfully providing Barbering services to the Gentlemen of Farnham for over 20 years. 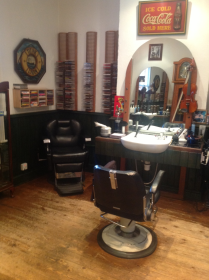 With a blend of consistently high standards, hard work, dedication and a mix of Olde Worlde charm with contemporary hair artistry, Sweeney Todd’s has become the premier Barber Shop in the Farnham area. 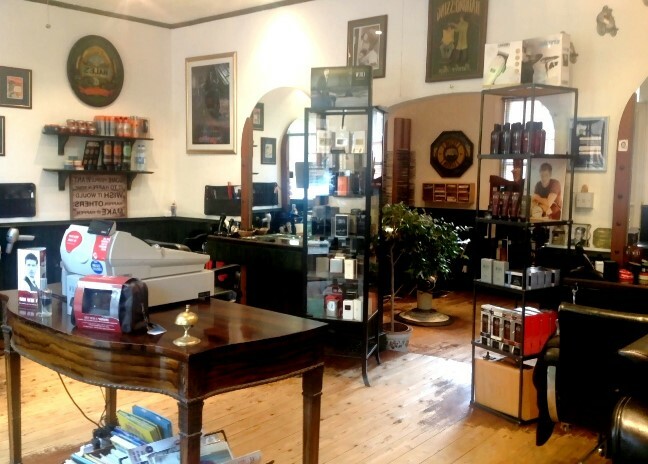 When you visit Sweeney Todds you can be assured of a quality cut, just the way you want it as our team of specialist Barbers each have over 30 years individual experience. Beyond that experience, we are constantly adopting new styling techniques so that we can deliver the very latest cuts and styles. When you visit Sweeney Todd’s, rest-assured you’ll be in very safe hands so we really look forward to seeing you soon. And remember, you don’t need to book an appointment so you can simply drop-by whenever it’s convenient – we even provide free parking for our Clients. Where Can We Take You Now? Our Team – more information about our team of specialist Barbering experts. Our Services – what services we offer and our price list. Our Products – our range of quality styling and shaving products. Reviews – what our Clients have to say about Sweeney Todds.